7 Fundamentals of a Successful Cloud-Based Transformation - Infosys Consulting - One hub. Many perspectives. Co-authored by Olu Adegoke, Partner, Infosys Consulting. 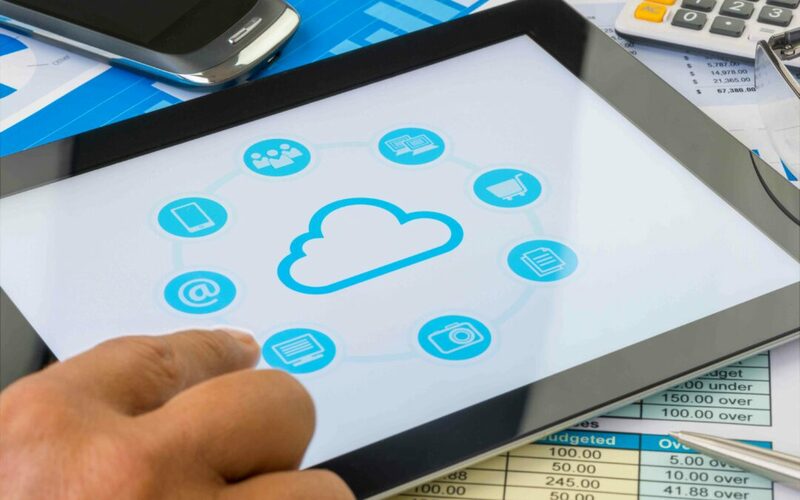 Cloud computing can be a powerful agent of digital disruption, enabling organizations to transform innovative ideas into ground-breaking software that drives real, measurable return on investment. According to a recent Forrester report, almost 60% of U.S firms today use public cloud-based platforms like Salesforce, Appian and Okta. At the same time, private clouds are also growing at an exponential rate. With the fast-paced digital environment fueled with new technologies like artificial intelligence, IoT and mobility redefining the rules of the game for market players, marrying digital transformation and cloud strategies can become a key differentiator in achieving true competitive advantage and lasting success. Around 72% of global firms are expected to have a digital transformation strategy in place by 2019 and cloud is well poised to become the new enterprise digital application platform, accelerating enterprise transformation like never before. However, with most organizations still scratching the surface of the potential of digitalization, there are miles to go before we reach the optimal maturity level for an integrated transformation. Based on our experience, working with top global firms around the world on several cloud-based transformation initiatives, we present the 7 key steps that can improve your chances of success with cloud-based solution implementations, and help drive your digital transformation agenda. A detailed platform fitment analysis is needed upfront before selecting a cloud-based solution like Salesforce, as every solution is built with a pre-defined point-of-view of business processes. In addition to following a traditional approach of mapping business processes to published platform feature sets, modeling the business ways-of-working into the platform as proof of concept (POC) can help uncover the potential gaps. The POC should focus on business processes that are unique to an organization. The goal should be to test the elasticity, and platform boundaries by pushing the limits rather than an out-of-the-box capability that maps directly to one of the business processes. Platforms are designed with a configurability-first approach and are easy to configure within the defined boundaries. Any deviation requires expensive customization and is very time-consuming. A platform is seldom picked solely based on current feature set. A thorough review of the roadmap and past delivery experience is equally important. Alignment of the platform with an organization’s vision and business roadmap is critical for long-term viability of the platform and its continuing success. Cloud-based platforms are very powerful tools, and often support an ecosystem of third-party applications to extend the feature set beyond the original scope of the platform. In order to establish a strong partnership with business, and gain their approval on redesigned business processes and requirements, effort should be made to educate them first on platform features and implications. A hands-on experience for key stakeholders is an added bonus. With the right education, business leaders become more open to the idea of doing things differently, and approval no longer hinges on having parity with existing ways of working. Secondly, having business stakeholders actively participate in the entire program lifecycle including platform selection creates an environment of collaboration and inclusion that sows the seed of success. Implementing a brand-new platform is a huge undertaking in itself. Often in the requirements phase understanding existing business processes becomes the immediate focus, followed by system modeling. The business processes usually end up with a few tweaks to align with system processes and sometimes evolve for the better. But, even if it results in a better process it is only incrementally better at best. In our view, the business processes must be re-imagined to truly leverage the benefits of a new platform. Re-imagining requires balancing the business needs with the platform’s out-of-the-box capabilities. It is a delicate calibration and art. It requires a lot of creativity and innovation to seamlessly blend both together in a meaningful manner that standardizes, automates, and provides significant advantages to business. Agile and DevOps are all the buzz these days, and it is quite natural to jump on the Agile bandwagon for the initial platform implementation. Agile may be the right approach, and if you are a fully agile business, it may be the obvious choice for you. In our experience, for organizations that continue to use Waterfall, Hybrid and Agile in a multi-methodology environment, a deeper analysis of the delivery methodology selection must be done to ensure timely and on-budget implementation. Specifically, for situations where the business expectation is to have parity with current capabilities, and there is a good understanding of all the requirements, the idea of designing the end-to-end solution upfront is much more powerful and helps avoid design issues later on. Once the platform goes live, a DevOps model can be leveraged to realize the true benefits. Security is often a key area of concern for cloud-based solution implementations, and, at the same time, least understood. Most platforms come with their own security model, rules, and procedures that are not changeable from client to client. At the same time, an organization’s enterprise security team might not be as familiar with cloud security. Both of these factors compounded can create a situation that requires extensive work to bring teams together, gain required approvals etc. Timeline impacts are very real and have the potential to derail an entire program. Engaging security teams early-on, and having the right conversations to clearly articulate the requirements and security solutions, can help mitigate some of the risks associated with this aspect of solution design. Just like the pre-defined point-of-view of business processes, platforms come with a standard suite of integration technology options based on industry standards. However, the maturity of different integration options varies, and that necessitates a comprehensive analysis of integration options to come up with an overall approach to support all integrations – current and future. Additionally, the need to hook up different systems requires careful planning from a network standpoint – ensuring that connections are established on time, and in compliance with organizational standards. While a new solution can help in solving problems related to technology, it is not the only piece of the puzzle for success. As is true of any large program, there are always multiple stakeholders involved representing different interests and needs. In our experience, governance is the glue that holds the program together and makes it a great experience for all involved. Governance helps in ensuring that a clear vision and well-defined goals and objectives are outlined, and followed. All stakeholder interests are addressed in a timely manner in line with broader objectives, and a single prioritized and approved version of all work is available. All key decisions are handled by the governance team and followed through. A good governance program includes decision-makers from both the business and IT leadership. A fully defined and agreed operating model that outlines the entire software lifecycle, regardless of methodology, with checks and balances in place involving multiple teams (in-house, vendors etc.) is another key piece of a successful program. Cloud computing today is a must-have technology for every enterprise, offering dynamic data resources and services. When done right, it can become a strong pillar of any digital transformation program and the ideal launchpad for innovations. Olu is a partner and co-founder of the global communications, media and entertainment practice for Infosys Consulting. Over the past 20 years he has advised senior industry executives on new business launch and digital transformation, focusing on launching digital products, digitization of customer interactions and enabling organizational agility. He has worked with clients in the US and Europe spanning from Fortune 100 and Global 2000 companies to start-ups. 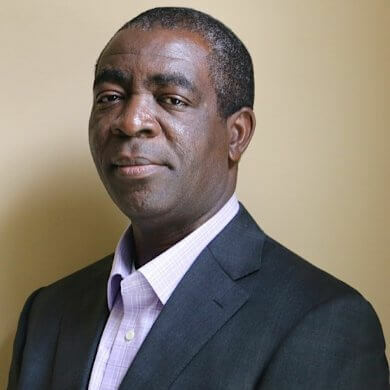 Olu has helped his clients to successfully design and launch new businesses including a mobile payments company, two wireless service providers and two competitive local exchange companies. 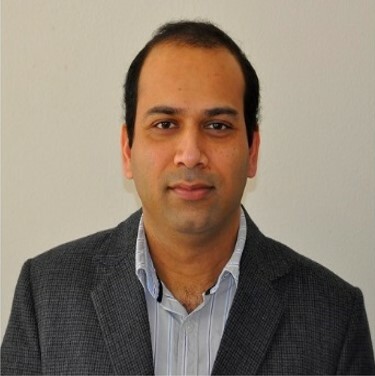 Ripan is a Senior Principal in the global communications, media and entertainment practice for Infosys Consulting. Over the past 18 years, he has led large digital transformational programs to launch new products and re-imagine business processes. He has worked with several a versatile range of global clients in the U.S. from Fortune 100 and Global 2000 companies to start-ups.